Built by Scott's Shipbuilding & Engineering at Greenock, Scotland, Cassandra was launched in June 1906 and made her maiden voyage, from Glasgow to Montréal, on 22 September 1906. 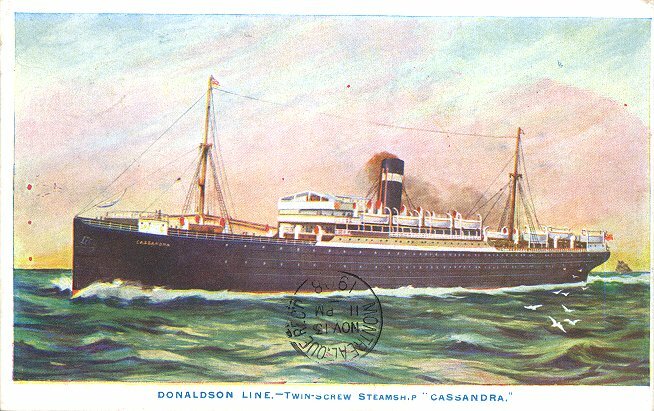 Cassandra served on the Glasgow-Canada or, in wintertime, Glasgow-Portland route through 1924. 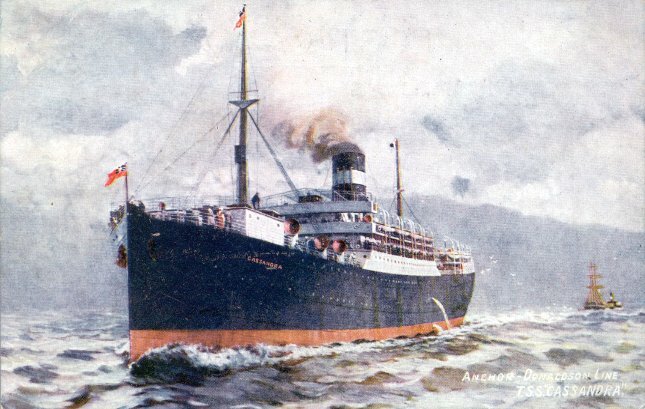 She was then renamed Carmia and used by Donaldson as a cargo-only ship for five years. In December 1929, Carmia was sold to the Arnold Bernstein Line, which renamed her Drachenstein. The ship was scrapped in Germany in 1934.